Are we settling for normal small group programs when we could create life-changing, relational experiences that draw people into missional group life? MissioRelate will equip and empower you with the imagination and the distinct practices required to shift your groups from today’s normalcy to making a difference in this world. I own more than a hundred books on small groups, and I am not overstating my case when I say this book is different than all of them! MissioRelate is a game changer and a page turner. It will challenge your normal small group paradigm while encouraging you with what God can do in your church by living in the natural rhythms of a missional way of life. and author of Small Group Vital Signs. Scott’s four “stories” drove the nail all the way into the board for me. These are anointed insights by a man who has been gifted with both wisdom and the skill to write clearly. I was greatly impacted Scott’s presentation in MissioRelate. This is going to become a classic in the field of small group literature. Join me in thanking the Lord for his stewardship and contribution to the Kingdom. In MissioRelate, we finally have a book on small groups that moves beyond pragmatics. Scott understands small groups is about Christian discipleship and there is no discipleship apart from mission. In order to get here, however, we must deal honestly with the underlying changes necessary to lead the church into mission via small groups. In MissioRelate Scott Boren gives us such a way. He proves himself that rare practitioner who knows both theology and culture sufficient enough to guide us well. —David Fitch, BR Lindner Chair of Evangelical Theology, Northern Seminary and Author of The End of Evangelicalism? In the missional context that now lies before us, existing styles of small groups based on affinity where people are shaped by an assumed ‘church-language’ are increasingly irrelevant and archaic. Scott has been wrestling with the question of how to form groups that engage with our new missional context. He shows us how to enter our stories and form groups that make a difference. When I read Missional Small Groups, Scott Boren reminded me that small groups done well can produce revolutionary change in the lives of individuals, in communities, and even across the world. Now, after reading MissioRelate, Scott has convinced me that such groups can develop and thrive in any church . . . even my own. MissioRelate is a thoughtful treatment of the place where small groups intersect with missional ministry. Boren takes small groups out of the peripheral role they play in most churches and moves them into the grassroots organizing principle for ministry. If you’re ready to create new church leadership rhythms, MissioRelate will be extremely helpful in your search. I am convinced that every small groups pastor should read MissioRelate. Scott has unearthed what may be the new guide for doing groups in this era. Many books challenge our perspective of doing groups. This one will change your perspective, demand a new way of thinking, and set you free to let God do what only God can do through your groups. Small group ministry continues to be a crucial dimension of vibrant church life. In MissioRelate, Scott Boren provides the reader with deep insight into why this is the case while offering substantive guidance for the development of small group ministry. He especially makes the critical connection between congregation and context that this ministry provides when approached from a missional perspective. This book is a must-read for anyone who takes seriously the importance of cultivating small groups as a primary aspect of congregational ministry. If you are ready for a powerful mental and spiritual adjustment regarding small groups, MissioRelate is for you! This book should be read by anyone wanting to reach their culture for Christ while making growing disciples. If you’re looking for a way to move your small group ministry from “connecting in community” to “impacting communities,” MissioRelate is a must read. If you’re like me, you will be challenged by Part 2. Trust me . . . it’s worth a very careful read. With that foundation, Part 3 will get a lot of use as all of us move in the missional direction. If you want to move beyond the next missional formula for small groups and equip people to cultivate a way of life where they join with others and God to make a difference in the world, then you need to read this book. In MissioRelate, Scott Boren asks questions which have the power to move the church from shallow definitions of success to deep missional engagement in the world for the sake of the world. This book is a gift to the church, for it will help us live lives that are faithful to the God of Mission. The word “missional” seems to be abuzz across the landscape of the American church. It’s “hip” to be missional! What I love about MissioRelate is that Scott plainly lays out the foundations of what it takes for small groups to be truly missional, both theologically and practically. 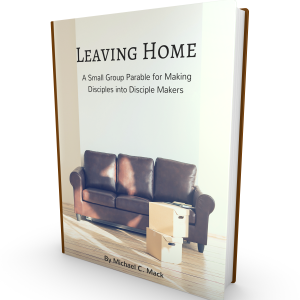 This book will change the way you think about small groups . . . In a good way! — Ben Reed, Director of Community Groups, Grace Community Church, Clarksville, TN.